This thing is out for blood. This incredible Land Rover Ranger Rover Sport SVR is a ferocious bloodthirsty monster on four-wheels. You’d never know it by glancing at the car on the road, but this badass SUV pumps out 550 hp from its supercharged 5.0-liter V8 engine and has an absolutely brutal sounding exhaust. 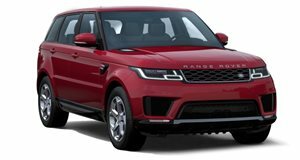 Just for clarification, the engine in this Range Rover is the same engine featured in the Jaguar F-Type V8 R, which is really what makes this SUV such a beast. Check out the video of this monster doing some accelerations and revs. The sound is absolutely phenomenal. In fact, if you couldn’t see the video and only heard the sound, you might very well think you were hearing a Jaguar F-Type R in this clip.